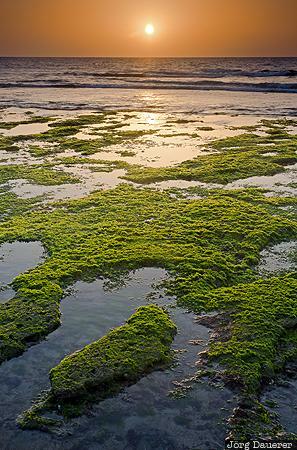 Sunrise at the coast near Ras al Ruways above the Arabian Sea with rocks covered by algae in the foreground. Ras al Ruways is in Ash Sharqiyah in the east of the Sultanate of Oman. This photo was taken in the morning of a sunny day in March of 2012. This photo was taken with a digital camera.